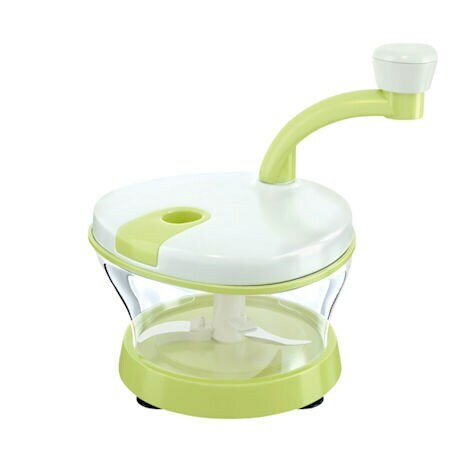 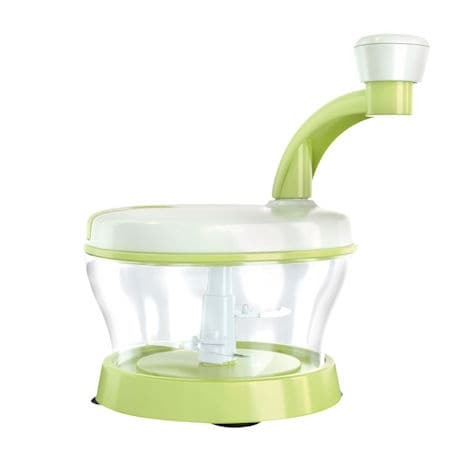 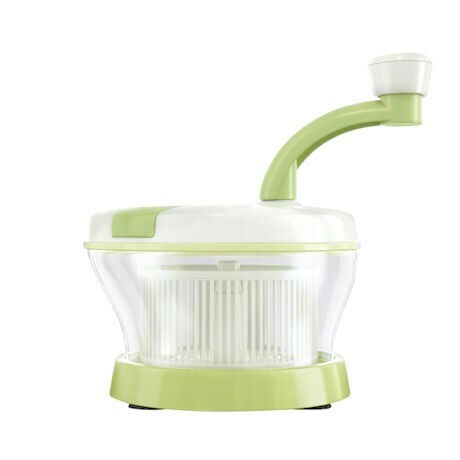 The 10-Second Chopper™ is a food processor, salad spinner, and mixer in one. 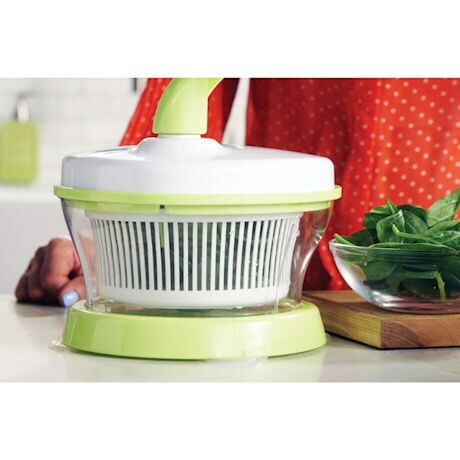 The secret is its interchangeable blades, mesh spinning bowl and mixing paddles, which cut prep-time in half. 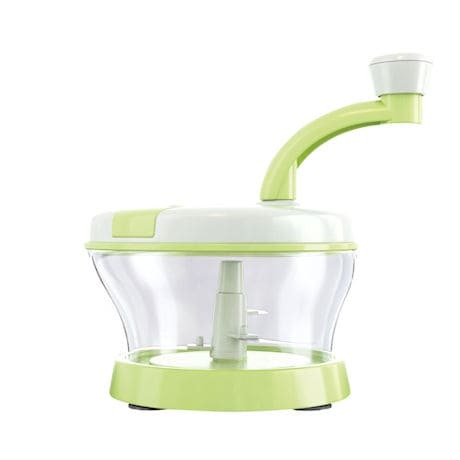 Simply select the attachment, add your ingredients, close the lid, and turn the crank. 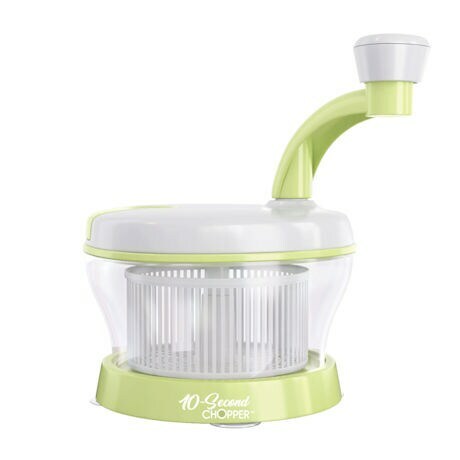 10-Second Chopper's™ large, ergonomic handle is easy even on arthritic hands and works great dicing vegetables, drying leafy greens or whipping batters. 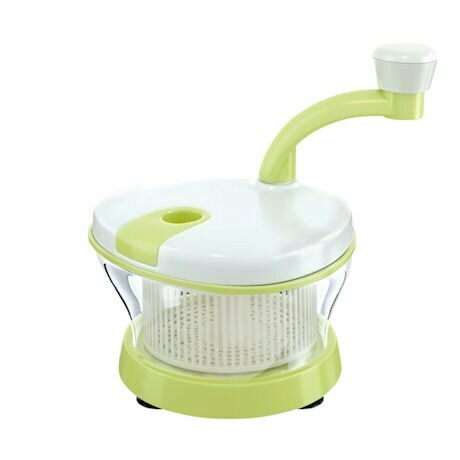 8¼"W X 8¼"L X 7"H.